Melissa Trumper is currently working at Regions Hospital while having a passion to teach and inspire students interested in Phlebotomy. 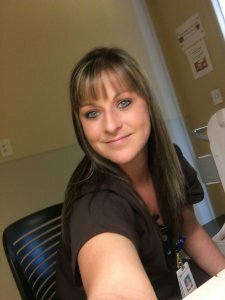 Melissa Trumper attended her Phlebotomy Course at Century College and has been Nationally Certified in Phlebotomy for three years and has actively been working in Phlebotomy for six years. She started at a Plasma Center then the American Red Cross and even traveled on the road performing Phlebotomy for Pathways Laboratory. She slowly worked her way up to Regions Hospital a level one trauma hospital where she currently performs Phlebotomy and also works in the lab and performs EKS’s and inserts I.V. access to patients giving her a variety of knowledge for her passion in the medical field. Melissa Trumper is very well known for her very kind and loving heart and she has a wonderful way of reaching out to others and helping things be more understandable and she has a passion to help people advance in their careers making things possible. Melissa Trumper’s number one motivation is her patients in the hospital and her coworkers among her that have helped her every step of the way in her forever rewarding career. 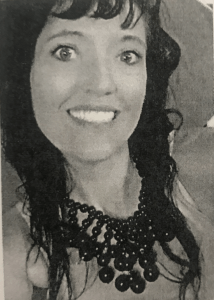 Melissa Trumper loves getting her blood on the first try leaving her patients rooms calling them one hit wonders leaving a contagious and positive atmosphere for her patients and her team, she is always inspired to teach her students what they are truly capable of!